I consider them tiny, detailed works of art created by Mother Nature herself! simply because I love them and I was lucky enough to have lived at the beach for a few years. Up in Washington state, there are a lot of shells on the beaches of the islands. The most abundant ones are simple white butter clamshells. I collected lots of them! 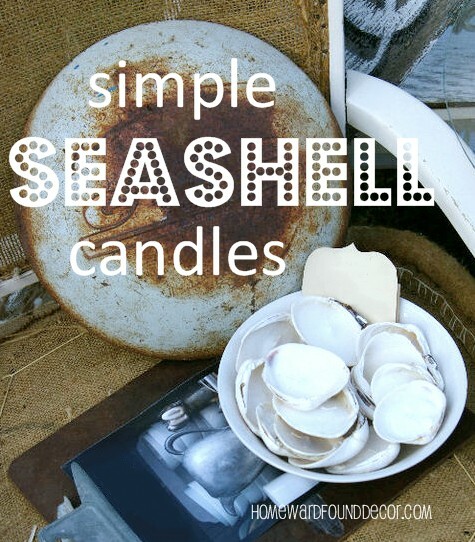 ...and I found a 'Fast, Cheap & Easy'TM way to make those shells a special summer decor element! * Grab yourself a bunch of clamshell halves (butter, littleneck, whatever) and clean them. Let dry. *Preheat your oven to 300 degrees. *Sit them on a cookie sheet with their 'open' side facing up. Nestle them into a damp dishcloth/kitchen towel so that they all sit level. *Get some plain white tealights (the kind that come from IKEA in silver metal cups are perfect). *Remove the silver cup from the tealights, and sit one candle inside each shell half. Make sure the wicks are standing straight up. *Slide the cookie sheet into your oven. It should take @ five minutes for the candles to melt, filling the whole inside of the clamshell half with wax. Keep a close eye on the process. DO NOT MICROWAVE! 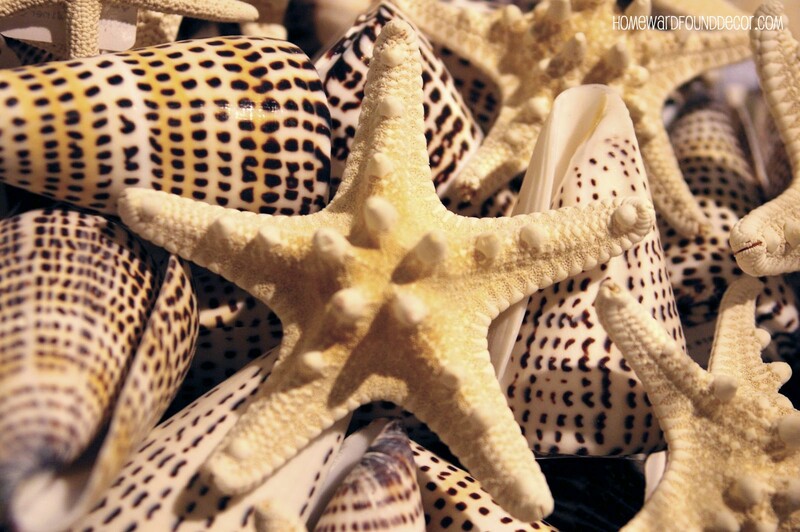 The moisture in the shells makes them EXPLODE! so that you don't spill the liquid wax. *Sit the sheet on a flat surface to allow the wax to re-harden in the shells. use a wood skewer to lift them out of the wax and stand them straight up. remove them from the cookie sheet and store them in a cool, dry place. If you'd like, you can place them in the fridge to REALLY harden the wax at this point. to keep the melting wax from pouring out of the shell and making a mess. Always be cautious when burning any kind of candle. This week I am headed back up to Seattle, to clear out an old storage unit. Not a fun job, but it has to be done. Who knows, I may even find my boxes of shells in there!